Hair is my passion! 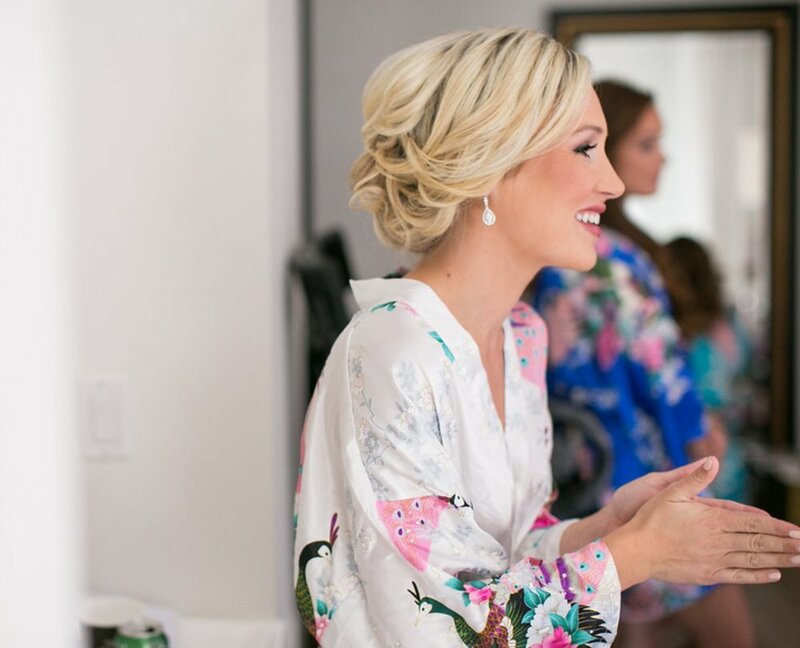 I love staying on the pulse of modern trends as well as creating classic timeless looks that will never go out of style. 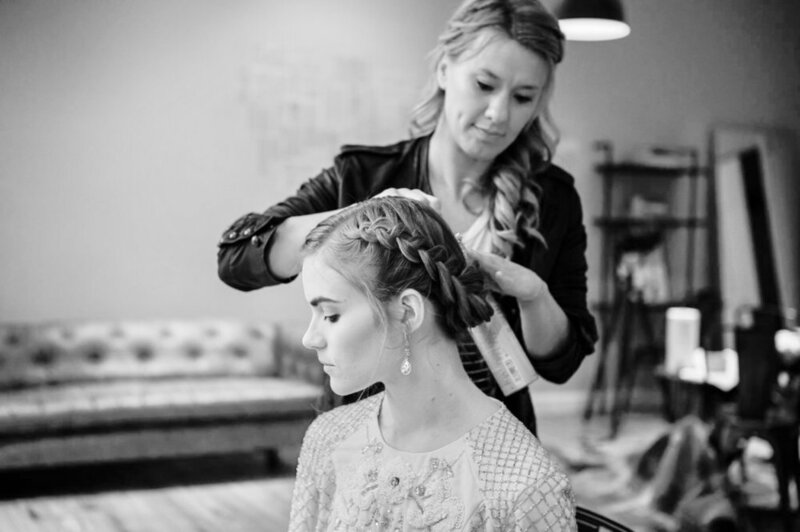 Let’s work together and create your dream hair for that special day. Even though Mother Nature threw us a few curve balls. Andja & Rob still saw a beautiful rainbow at the end of their love story. Libby envisioned a romantic textured style that wouldn’t be in her face all night. Her future husband on the other hand had always loved her long hair. So we did the best of both worlds. I added a few extensions to give her a bit more volume and to also add a few more inches seeing we decided to sweep it all to one side. This style is personally one of my favorites. Libby still got to keep the long length of her hair but in a more controlled way. Ensuring at every moment and at every angle she looked flawless dancing the night away. The “Dream Team” collaborates once again….. When Kelly Golia calls and asks if you’d like to collaborate with the dream team, you ask when and block that day off immediately. Laura made my job easy….just look at her. 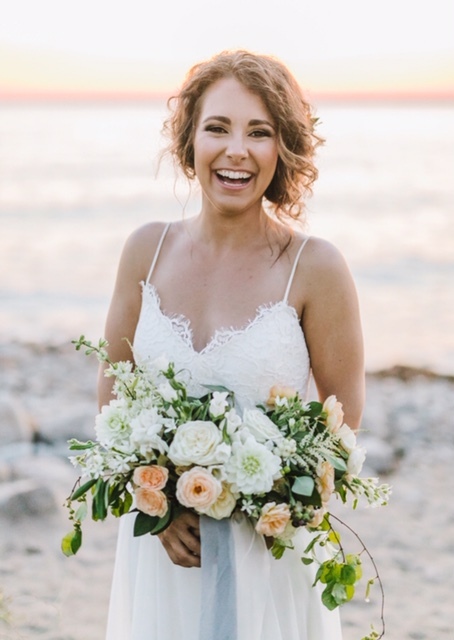 She made such a beautiful bride inside and out! I had the pleasure of working with Laura multiple times. She was a bridesmaid at a wedding I had done two years prior to her big day and she hired me on the spot. She then was kind enough to tell all her friends about me and now I see her almost every year at a wedding. Its been a joy getting to know all her friends and seeing her family grow. Simple was what she asked for and I’m so happy she did. Sometimes simple is just perfection. I gave Ashley a bit of height at the crown and she specifically wanted her fringe to have a slight lift as well. I did a classic low knot and with her long sleeved wedding dress it was EVERYTHING!!!!!!! !